Any holiday in Cottowood is a big deal, but Easter just so happens to be the biggest. There are three things we southerners love: gossip, food, and church. We get all three of those on Easter. I especially loved it when my Kendrick was a little girl. Now she's the big bad Sheriff in Cottonwood and she doesn't like to go by Kendrick. She likes to be called Kenni. Regardless, I'm grateful that she's living in Cottonwood and can attend the Easter festivities at the Rock Fence Park. It's a big day! 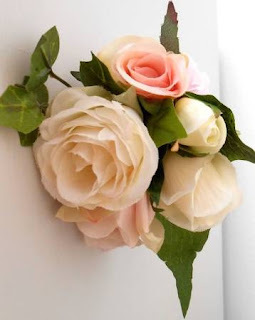 Myrna Savage, owner of Pedal Pushers, has made all the Easter Corsages that all the women proudly wear on their Easter's finest outfits during the church service. 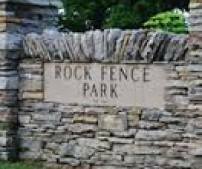 After a wonderful Easter message at church, all the Auxiliary women take their best casseroles, food choices, and the sweetest iced tea to the Rock Fence Park where the fine citizens of Cottonwood will gather for an all day Easter celebration. We have a wonderful Easter egg hunt along with some good strumming from a local bluegrass band. It's a real fine time. The celebrations gives us the three things we love best: gossip, food, and church! Of course, Kenni isn't a child anymore so I don't dye the eggs for the hunt, but I do make a wonderful Easter egg petit four dee-ssert that she just so happens to love. I hope your family loves them just as much! Grab the books I'm in! And stop on over to the special Kenni Lowry Mystery website where you can take a virtual vacation in our cozy town of Cottonwood and meet all the fun folks who live there! This cake recipe makes 12 cookie cutter eggs, which will make 6 petit fours. ingredients and milk, beginning and ending with dry mixture. with parchment paper. Bake at 350F for 20 min. Sandwich the two slices back together. Here is a fun video where Peeps, a dog, loves to make Easter Eggs! What are your plans for Easter? Do you color eggs? Any good recipes to share? Let us know in the comments and enter to win a Kappes tote, signed Kappes print book and Southern Y'all measuring spoon! Tonya Kappes is the USA Today bestselling southern mystery author of the Kenni Lowry Mystery Series as well as the Killer Coffee Mystery Series. Be sure to join her on her FREE Facebook private page! Check out her website where there's lots of fun, free things, and recipes! I spend it with family, we usually eat between noon and 1. Afterwards the kids hunt eggs. We will go to the Sunrise service, and the morning service. Then gather for dinner at my sister's home and watch her grandkids hunt for Easter eggs. Oh! That sounds so good!!! We always had the grandkids before. But we are flying solo this year. Looks like a movie day to me! Usually I let the kids take over the easter cooking and egg hunting duties. OH...that cake sound so good. Have a wonderful Easter. That is so cool! Enjoy your day. Going home for Easter to visit my folks. Just coloring Easter eggs and having a nice ham! The beach sounds amazing!! Enjoy yourselves. Have a wonderful Easter at home! We're doing Easter Sunday with my boyfriend's family. Thanks, Viv, they look so colorful and easy to do! We are doing brunch with my in-laws this year. I'm Jewish so on Easter Sunday, I'll be relaxing at home while my hubby works, then after he gets home I'm going to try a new Passover recipe for dinner ( Passover ends Tuesday at sundown). Hahhaa! You crack me up! We usually have a big dinner up at my Mom's house, us kids all gather together and enjoy each other company !!! Travelling to have dinner with family that includes a new baby! Yay! LOVE new babies! What a wonderful addition to the holiday. WOW!! My jaw dropped! You are blessed! 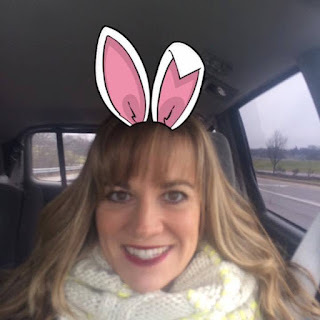 I live with my daughter and grandsons so the Easter Bunny come after the boys go to bed and then the morning will be spend with laughter and hunting for the elusive Easter basket. That is always a good time and because the boys are getting older (ages almost 3 and almost 6) the hiding becomes harder! After that I expect they will go to church. I will relax after all the excitement which seems to wear me out these days. No other plans that I know of. That is so fun! I bet you love that!!! Enjoy! Going it alone this year . Just me and maybe a good book . The kids won't be home this year, so no egg hunts. I mailed their easter baskets to them. Do it Will Be A Very Quiet say. You are so good to mail them. I bet they loved that. We are baking a ham, deviled eggs, mashed potatoes, brown gravy, broccoli casserole, crescent rolls and million dollar cake. We are having ham too. We have a family dinner on Sunday evening. We always have a baked ham with pineapple brown sugar glaze and we also always have to have mandarin salad. Love the Easter egg cakes, too cute! That glaze made my mouth water! We will go to Sunrise Service, enjoy a breakfast afterward at church and then have Sunday School and church. My mother passed away Feb. 20 so our Easter dinner will probably be eaten out this year instead of potluck with her and my brother's family. Hugs! Enjoy your service. I wanted to go out this year....I have to cook. My kids are 12 and 13 now and too old (to them) to hunt Easter eggs, but we still love to dye and decorate them. Later, we eat them - I usually have to make my special deviled eggs out of them. I'm a mayonnaise hater (and that goes for Miracle Whip, too - it's all the same grossness to me), so I use Bleu Cheese dressing in my eggs. Of course, the kids love baking treats with me, too. We don't often get to have a special meal, since my husband usually ends up working on Easter (he works rotating shifts, so for several years, that's just how it happens). I try to cook something special for him to take to work, though. Awe. That's so sweet. My kids still dye eggs even though three of them are in college. Hugs!!!! I'll work a bit too. The kids are grown and gone so there's no one to hunt easter eggs. I'll have a quiet day at home. My son is coming by for supper. I'm fixing meatballs, deviled eggs, and cole slaw. Not a big day for celebration. It sounds like you are going to have a very nice visit. well, Easter isn't my holiday, so I'll just be relaxing. OTOH, I made an awesome Passover Seder this past Monday. I made matzoh ball soup, gefilte fish, roasted brussel sprouts, horseradish encrusted Prime Rib, and a decadent flourless chocolate cake. Boyfriend is cooking most of the meal. My job is to make dessert. U am going to try to have my daughter color eggs with me. Lol. This year we are going out for Easter brunch!We also plan on dyeing eggs,playing monopoly,getting a little exercise in and just relaxing! YES! Sounds like you'll have a nice day. We always do lunch at my Grandma's house. The little kids hunt eggs with change in them. You get really lucky if you find the ones with quarters (Grandma hasn't changed the egg hunt in years). Once you get to be 11 you become an egg hider, not a hunter. Everyone brings food and we have a wonderful time. I love that. I have fond memories of going to my granny's. Enjoy! Happy Passover!! Enjoy your family. Lucky dog to get such a great basket. My youngest is 17 and thinks she is too old for an egg hunt! We will be having a nice dinner and possibly see some of the other girls and their families. Hope you have a lovely Easter and thank you for the giveaway. My daughter and her family just moved into a new home and are hosting Easter Dinner at their house - 23 people! Her first big dinner party! So much to be thankful for! We are going to have so much fun! That's wonderful! I bet she's excited. It will be just two of us this year. I'm putting together a treat basket for Zoey, my shih tzu. I plan to make the Easter Egg Cake though as that sounds awesome! I was thinking of using a cheesecake with fruit for the filling. I'll be sharing the cake with some neighbors who I know are alone this year too. Other than that Zoey and I will be reading. She has been picking the books for the mini-readathon. She doesn't know it but I held out a couple of Tonya's books from her so she will be surprised! I hope everyone has a blessed Easter or Passover. Frances Hampton (on Facebook). I'm looking forward to coloring Easter eggs on Saturday with my 5 local grandkids. I've shipped Easter goodies to my three distant grandkids. After church on Easter morning everyone will converge on my house for baskets, egg hunt, and brunch. They'll return in the evening for dinner. It's a day to treasure family! That's wonderful! Enjoy your day! OH! That's so nice!! We are supposed to get a little rain. Just my hubby and me---so a quiet day with a VERY small ham. Very nice!! Enjoy your time together. Since my kids are grown it's just me and hubby . We attend the early rise service . That sounds nice and intimate. Enjoy! Spending time with family and going out to eat. Also, coloring easter eggs and eating lots of cake and candy. This year I am working on Easter so others can spend time with their families or go to church services. Health care stops for no holiday, and I don't have any little kids around to celebrate with an egg hunt, so I let those that do have the day. You are doing a good thing! We need people like you working those holidays and we don't forget your amazing gifts of service. We start the day with church, then children and grandchildren come over. We have dinner and I always have a "little" something for the grandkids. Weather permitting, the females go for a walk after the dishes to just have a girl chat. Then we have bunny cake! Oh cash! Your bunny is generous!Happy Easter! After church we spend it with both my side and hubby's side, split the day in two actually. No little kids anymore on my side but just being together is all we want to do. Since all our family is out of state, we don't get to see them on the holidays. The youngest will be working so this year we are going to try a something different, maybe a casserole I have to go check Pinterest and see what I can come up with. I will make marshmallows rolled in Jello, everyone likes them and they're easy. I think I may make a Jello poke cake, always refreshing. Pinterest!! I did look there for some table decorations. Enjoy your day!! It sounds like you will. Spend the day outside reading is my plans for sunday. We are big on church services, then a big family dinner and Easter egg hunt for all the kids. If it's warm enough, some of us will swim in the lake. YAY! Swim in the lake! WOW!! We always spend time together as a family. Sometimes we prepare an Easter dinner. I'm not sure if we're going to have one this year or not. We always let the kids dye eggs and we give them their Easter basket with their goodies in it. We make them their own each year instead of buying a store bought one. OH. I love the homemade baskets. They are so thoughtful. Happy Easter! I'm keeping it low key this year. I expect my husband will go to church sixty miles away; his parents used to go there and he has friends there. I invited Mom to spend the day here at home so I'll be picking her up from the retirement community and maybe swing by ( a big swing ) the national cemetery to check out Dad's grave. And maybe do a surprise inspection of my little brother's house to see if he's keeping it clean to Mom's standards. I haven't decided yet what we're going to eat, but I'm leaning toward something light. Happy Easter everyone! Your mom will love that! Yes...we always go to the cemetery too. Hahhaa! You are so funny about your brother...that's so funny!! It is so yummy!!! Y'all have fun! Easter is very mellow for us. It's just my husband, daughter and I so we do the egg hunt thing in the morning followed by casual breakfast and playing. The weather is usually turning somewhat nice around here so I try to get her a new outside toy of some sort to draw us outside. This year, it's new tennis balls to get us across the street at the park. Fingers crossed for dry weather. Thanks for the fun recipe and giveaway. That sounds like a nice day! Enjoy!! We don't celebrate Easter as we celebrate Ostara, which was at an earlier date. Daughter always works on Easter anyway so for us, it's just another Sunday. Oh! Happy Ostara!! So glad you did get to enjoy a celebration. Happy weekend. We have a wonderful dinner in the afternoon and watch the basketball playoffs. Some years we celebrate a birthday, my son's, my brother or my brother-in-law all fall in the same week. WOW! Happy Easter and Birthdays to all your peeps! I'm spending Easter with friends. We are getting together for dinner and spending time catching up. That's so much fun! I love sitting around the supper table catching up with family. We are doing a nice dinner here at home. We'll be having ham with baked sweet potatoes. I'll also make some Pumpkin Bread. Preheat oven to 350 degrees. Sift together the flour, salt, sugar, and baking soda. Mix the pumpkin, oil, eggs, 1/4 cup of water, and spices together, then combine with the dry ingredients, but do not mix too thoroughly. Stir in the nuts. Pour into a well-buttered 9 x 5 x 3 inch loaf pan. Bake 50 to 60 minutes until a thin skewer poked in the very center of the loaf comes out clean. Turn out of the pan and let cool on a rack. Makes one loaf. Can easily double the recipe. Recipe adapted from the Fannie Farmer Cookbook. YAY! Thank you for the recipe!! I'm going to try it in a couple of weeks!! Happy Easter. I don't do much for Easter. Not much family. We didn't dye eggs last year, but my mother usually likes to so we might do it this year. She bought a big peanut butter egg. I'll be eating a big Stouffer's turkey frozen dinner for Easter. Peanut butter egg sounds so much better than hard boiled! YUM!! One of my daughters and I are splitting up the cooking for Easter this year. I am making a coca-cola ham in the crockpot for our meat. We will go eat Easter Dinner at my Dad's house. We will give my Grandson an Easter Basket when he comes back from his Dad's. Fun!! I bet your grandson will be so excited. Church, then Easter Brunch at the relatives. Yep! Sounds like a fun day! No clean up and relaxing. That sounds like heaven! Those little ones are so cute. We color eggs and have a special dinner. Every year we buy new flowers for spring,color eggs and make a Sunday like dinner. Sounds like you are going to have a beautiful day. Easter time we fill baskets for everybody,color eggs,send greeting to friends,family and color eggs. I love the baskets!! So fun! I bet your house looks so pretty!! Enjoy those grandkiddos. Normally we don't do much for Easter but go to church, this year my Aunt and her new husband bought a house and I think she is itching to have a big dinner. So we are going to my Aunts house after church and I am bringing pumpkin cookies as that was requested...lol. Gotta love those crockpots!! Enjoy your ham! After church I'll have an egg hunt for the grandkids and then dinner at our house. I know you will enjoy all of that! Especially the grandkiddos. Get well wishes across the miles for your mom Vicki! HUGS to you and your mama! Sending prayers your way. It will be just me & my wonderful husband enjoying a good meal on Sunday. Happy Easter & Passover everyone! Sandy, thank you and Happy Easter to you and your husband. We used to color eggs when the children were little. Always a lot of fun. My boys still love to color eggs. I love it now that they can do all the mess and clean up while I enjoy. We have already started church services with Holy Thursday. We will probably go to a lovely vigil on Saturday and have brunch on Easter morning. No matter how grown-up we become, colored eggs and baskets will always be found at our house! That sounds very nice and relaxing. Happy Easter! When I was little, I used to get the whole Easter new outfit: dress, stockings, shoes, hat and gloves; I looked forward every year. A few years later, when my mother had gotten a super secret recipe because the lady who had it was tired of having to make so much bread, we would have Zupfe (braided egg bread) for special breakfasts..Easter, of course, being one of those days. I've got to find that recipe again, so I can make it for my kids before they fly the coop! Easter tomorrow will be quite different this year. Our daughter and her family, along with my sister and brother in law, and my husband and I will e going to a brunch at 10:30 tomorrow morning and after breakfast/lunch, we are going back to my daughter's house for assorted desserts and our three grandchildren will hunt for their eggs and open their Easter baskets and bags of gifts. After that my husband and I plan on leaving for the first leg of our car trip, and on Monday will get to our destination that evening. Our daughter and family will be joining us on Monday night for the rest of the week. Our car is almost all packed and we will be ready to head out for brunch in the morning without having to do any last minute packing just a few small things that couldn't be packe3d tonight. It is going to be a different Easter but we are still getting together with our family for at least half the day which is great. Wishing everyone a Happy Easter. This is the quietest Easter we've ever celebrated. I took my best friend to the doctor on Tuesday and she was immediately admitted into the hospital with advanced stage 4 breast cancer which has spread all over her body. The focus has been on her and her family this year, and rightfully so. God is honoring our efforts and we will be honoring Him at worship tomorrow.